You are considering WordPress for your next project. Should you use standard WordPress or enable Multisite? To help you answer this question, this guide will define WordPress Multisite, Multisite advantages and disadvantages, and list some example use cases for Multisite. Please note: Not all plans support WordPress Multisite. Multisite is available for our contract customers. Contact us to get started. WordPress Multisite is a feature that was introduced with WordPress 3.0 in 2010. WordPress Multisite (also referred to as WordPress site networks) allows you to create multiple sites, hence the name, from a single WordPress installation. This can be anything from a few sites to thousands. WordPress Multisite requires manual setup. If you are not comfortable editing files such as wp-config.php or creating new PHP files then you should consider working with an experienced WordPress agency. Not all agencies have Multisite expertise, so make sure to inquire specifically about Multisite when searching for an agency partner. Each site in the Multisite network sharing the same WordPress installation means all the sites share the same database and must be installed on the same server. Having a shared database between sites in a WordPress Multisite installation makes it easier to access and transfer data between each site. For example, user accounts can be registered to multiple sites. It also means if one site in the network is hacked it compromise other sites on the network. A WordPress Multisite installation also shares code between all sites. This means that WordPress themes and plugins are installed to the entire site network rather than being installed at the individual site level. However, plugins and themes can be activated and deactivated on a per-site basis. * All Pantheon sites have dedicated resources. Since the codebase is shared between all sites on a WordPress Multisite network you should be selective about which plugins and themes are installed on a WordPress site network. For example, install one plugin for each piece of functionality, such as a contact form, rather than multiple plugins. You should also be extra careful with user roles and permissions when using WordPress Multisite. The admin and network admin roles should only be given to those who truly need them. Finally, make sure your infrastructure is prepared to support a WordPress Multisite installation. With multiple sites sharing the same resources your infrastructure will need to be able to respond and scale to support traffic from multiple sites at the same time. 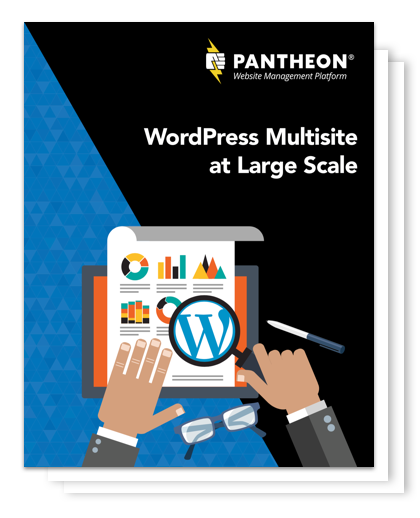 Download the free Multisite at Scale eBook to get all the details on setting up a single large-scale WordPress instance. Now that you have analyzed the features, advantages, and disadvantages of WordPress Multisite you can better determine when it is a good fit. WordPress Multisite should be considered when data and/or users need to be shared across all of your websites. For example, a franchise with multiple locations, where each location has its own site, is often a great fit for Multisite. A shared database allows custom reports, such as viewing all contact form submissions for each site, to be created. Having shared users also means that site administrators can easily log in and access each site to create updates in one place. WordPress Multisite should be considered when separate sites have a shared codebase. This is frequent in the education space where central IT needs to manage sites for multiple departments or students need the ability to spin up their own blog on-demand. Central IT can use Multisite to maintain a single codebase. This makes keeping the sites secure by limiting what plugins and themes can be installed, as well as keeping those plugins and themes up to date, much easier. WordPress Multisite should not be used for cases where there are multiple sites that do not share a codebase, users, and/or data. For example, an agency maintaining separate, bespoke websites for its clients is not a good fit for Multisite as there is too much risk of the entire site network going down, causing downtime for all the clients at once, when none of the Multisite specific features are being utilized. If you are hoping for centralized management of multiple sites without the risks and extra work that comes along with maintaining a WordPress Multisite consider Pantheon's custom Upstream feature. It allows you to have the advantages of managing shared code in one place while having dedicated resources for each WordPress installation. WordPress Multisite should be used for complex projects where users, data, and/or code needs to be shared between multiple sites. 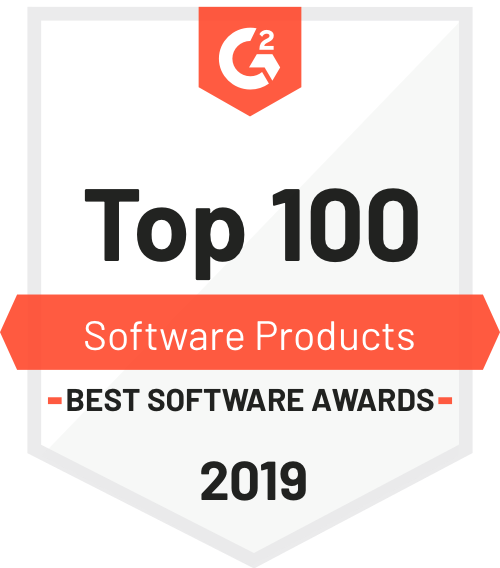 It is not for the timid as it requires advanced configuration to setup, custom development to take get the most out of its features, and rock-solid infrastructure to keep it running smoothly. Is WordPress Multisite the right choice for your large-scale WordPress site? I Can’t Believe It’s Not Multisite! How companies are launching and running more websites than ever before by leaving Multisite behind.